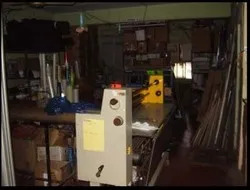 Year of Establishment 1990, 1SignMart has established itself as an eminent company engaged in Manufacturer, Trader and Exporter of Magnetic Sheet & Roll, Card Stands, Drop Box and many more. We are also providing UV Printing Services, Digital Printing Services and Acrylic Fabrication Works to our clients. Established as a modest enterprise, we quickly metamorphosed into a pro-active organization that grew from strength to strength under the able guidance of our mentor, Mr. Sanjeevi J. We use latest machines related to graphic designing and have the expertise in easily creating graphic designs as per client's requirements. Strategically located in Chennai, an industrial hub, we have global coverage in learning latest techniques and style in the signage and advertisement industry. Our team of experts has been our source of strength. They continuously abide by the company’s principle of credit and profession. To be in the frontrunner in this dynamic industry, we keep improving the service and operation and strides forward to specialization, systematization and become a one-stop solution to our clients. Graphic Design - which is one of the top few signage and ad industry in Chennai, India. We have the latest machines, technology, and know-how for our signage products. We have global coverage in learning up-to-date techniques and style in this industry. Our entire business activity revolves around determining the customer’s requirements, designing effective signs and servicing customers. An unflinching commitment to excellence and quality so as to give the customer, total value for money has been our guiding principle. We have moved into the new realms of signage and ad industry by undertaking fabrication and installation of different sign boards in India and abroad. Our client list comprising of corporate houses and giant advertisement agencies. Our company is dedicated in offering highly effective digital advertising and digital signage network solutions to various industries. A signage or a graphic display reflects the message and other basic specifications that a company wants to highlights and we help them in meeting their goals. 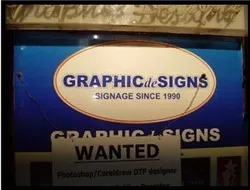 Our unique capabilities allow us to produce the finest imaginable sign to represent the business of clients. We emphasize on the innovative designs, use of vibrant colors, outstanding graphic composition and typography in the art of sign making. Letters of every type, large, format digital color output sign and banners are designed and offered by us. Moreover, we work with clients to find the most appropriate solution to handle their advertising or informational needs within specified budget. The team forms the lifeline of any organization as it is owing to their undeterred efforts that a company moves towards growth and success. We are one such organization where every employee is chosen on basis of merit and creative talent. Our products are developed by a dedicated team of experts which comprises of Engineers,Technicians, Computer Professionals, Designers, Skilled workers. The team of designers and computer professionals uses latest graphic technology to lay out the innovative designs which are eye catching and alluring. 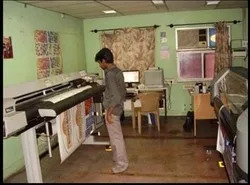 Our team of technocrats comprising of engineers and technicians operates the latest machines and realize the full potential of the machines by offering innovative signage and other graphic display products. Moreover our trained professionals undertake installation of the signage boards inn India and abroad.